In the face of declining occupancy, reduced payments and the shift toward value-based payments, it’s clear that post-acute care and long-term care operators and managers need an agenda for change – a clear plan. 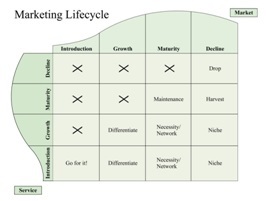 Business lifecycle models show that all markets go through introduction, growth, maturity and decline. The post-acute care and long-term care markets are declining in many regions, and the service itself (nursing homes, home health care and seniors’ housing) is in late maturity, early decline. What can be done to respond effectively to these changes? What is the change agenda?